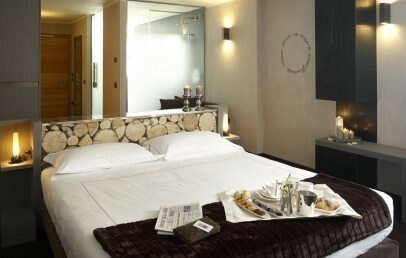 recommend this 4-star Superior hotel to mountain lovers looking for a truly unique experience. 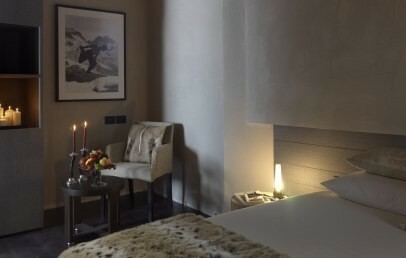 Situated in Madonna di Campiglio, in the heart of the Brenta Dolomites, DV Chalet Boutique Hotel & Spa is just 300 m from the cable cars and 400 m from the central Conca Verde. 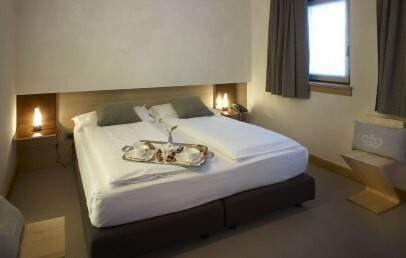 The hotel is within easy reach of historic cities such as Verona and Mantua, the Garda Lake and other nearby localities of cultural and natural interest. A fine design boutique hotel, DV Chalet Boutique Hotel & Spa offers an unrivalled hospitality concept at Madonna di Campiglio: an intimate, cosy ambience, offering understated contemporary luxury; attentive, warm and personalised service; a stay marked by excellence, including a starred gourmet experience and a reinvigorating wellness route. 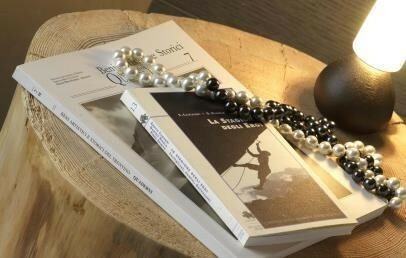 An irresistible attraction for lovers of design, the hotel’s 20 rooms have a unique Alpine décor, a blend of tradition and modernity. 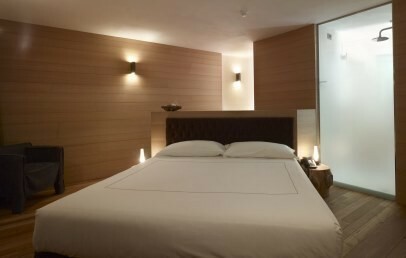 Each room is different from the others, all have precious fabrics, period items or local antiques, coupled with modern comfort and technology. 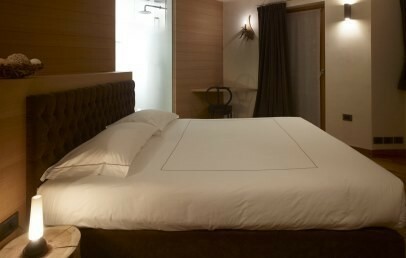 The first floor hosts the “Velvet” rooms, with soft furnishings in velvet; the “Wool” rooms, on the second floor, offer the embracing warmth of wool; the “Mito’s”, junior suites, on the third floor, are a homage to the achievements of the great Alpinists. 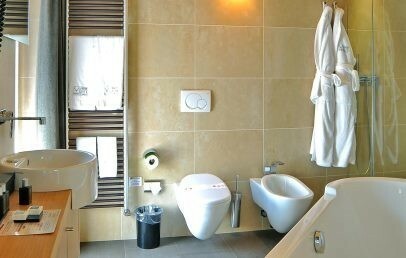 Hotel guests have free access to the Hotel Spa, with a fine Thalasso centre opening out among Himalayan salt rooms and Dead Sea salt cascades. The wellness route offers an irresistible sequence: internal pool with colour therapy, Finnish sauna, Turkish bath, Himalayan salt cave, emotional shower, ice cascade and relaxation area. An exceptional resort for a vacation in close contact with nature, Madonna di Campiglio offers many opportunities for outdoor activities. Obviously, snow sports are the favourite attraction in winter (skiing, snowboarding, snow shoe trekking...), but summer also offers a wide choice: mountain biking, trekking and excursions, kayaking, rafting, canyoning and hydro-speed, free climbing and hang gliding. An experience not to be missed for lovers of good cuisine, the starred Dolomieu Restaurant offers the contemporary-local creations of our Chef Enrico Croatti (One Michelin star), a stylish blend of mountain flavours paying homage to Madonna di Campiglio and the Brenta Dolomites. Available to guests are the communal areas of the Hotel: the restaurant, the Ice Cube bar, the wellness centre, the Lounge & Cigar room, the private internal garage. Payment of a supplement secures beauty treatments and wellness packages and room service. The Hotel concierge is on hand to suggest the best activities and sites in the Dolomites and to help you to enjoy a personalised DV experience: wellness, gourmet food, sport, nature and much, much more. The concierge will assist you in arranging transfers, limousine rental, luxury cars with or without chauffeur, helicopter transfers, restaurant bookings, events, babysitter service, hairdresser and personal shopper. 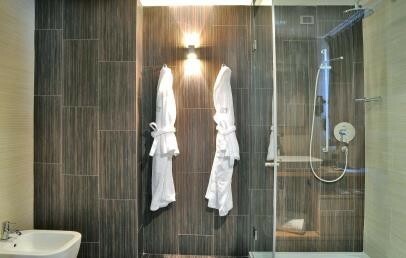 The classic rooms offer comfort, reliability and the charm of unique details that make them different from each other. They feature terraces or balconies. Bright double bedroom settled on the corner of the building, with a large terrace where you can relax under the sun, and admire the snow that falls during the long winter evenings. 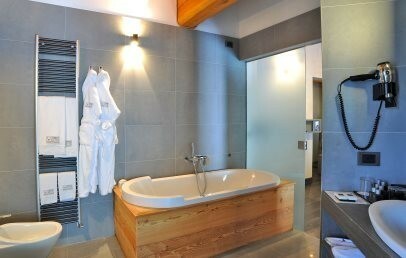 This room features a large bathroom with an access to the balcony and a spacious wardrobe. Double bedroom with a living room area and two balconies. 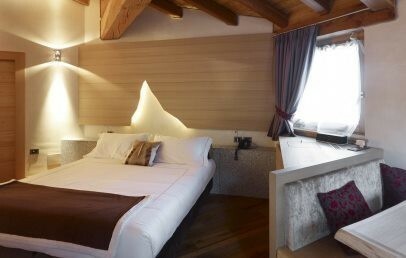 Double bedroom settled on the corner wall face of the building; it has two balconies, one accessible from the bathroom, and a beautiful and relaxing view over the Dolomites. Elegant double room with two terraces, one of which is accessible from the bathroom, and a nice living area with table and wooden benches. The Confort room can accommodate two or three people and it is perfect for a couple with one child or for a group of friends. It has a balcony accessible from two French doors and it is very spacious. 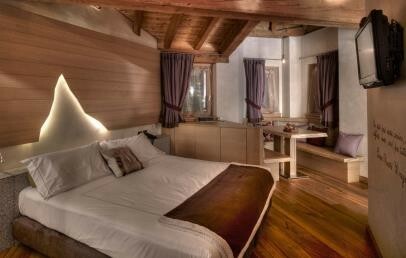 Crossing the threshold of this double bedroom is like entering directly into the legend as it is dedicated to Piaz, hardy climber and mountain guide called the Devil of the Dolomites. Intimate and welcoming, it has unique details such as the table and the chairs made of antlers. Inside this room you can find an infusion maker and a balcony. 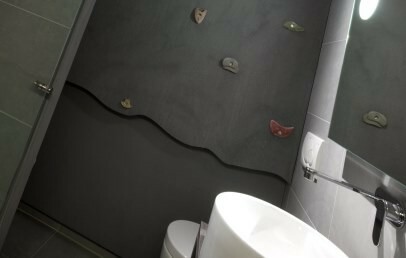 The particularity of this master bedroom, dedicated to the climber Paul Preuss, theorist of the respect for the mountains and of a less artificial way of climbing, is the elegant bathroom, where you can see a wall of rock. 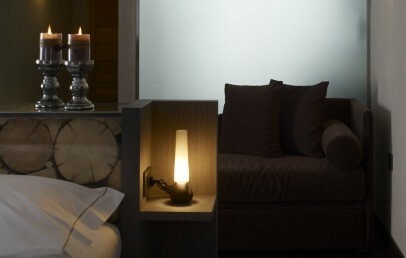 An intimate and sophisticated atmosphere is given by the illumination with red lights. The view of the magnificent Dolomite rocks that you can have from its large windows will gladden the holiday of those who will decide to stay here. 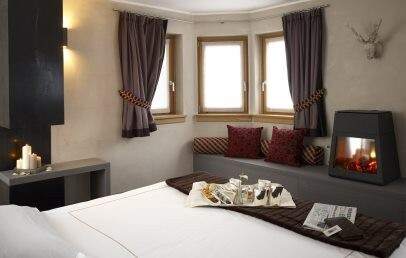 Intimate and comfortable, this room inspired by Hermann Buhl, myth of climbing and enthusiast of the "alpine style" approach to the Himalayan peaks, can accommodate up to two persons and it has a balcony accessible from the bathroom and an infusion maker. 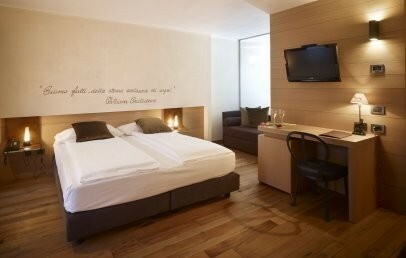 Like all our Mito's rooms it has a mansard roof with exposed wooden beams and floors made of fine wood planks. Ideal for families, this room large and bright can accommodate up to three adults and a child and it has a large terrace accessible from two French doors. The fornitures, modern and traditional at the same time, make it a comfortable, stimulating, perfect complement to a holiday full of nature and relaxation. It is all based on the warm and enveloping tones of red this room is suitable to accommodate two or three people. Equipped with a balcony accessible from two French windows, it is very bright and comfortable and it has a panoramic view over our beautiful mountains. 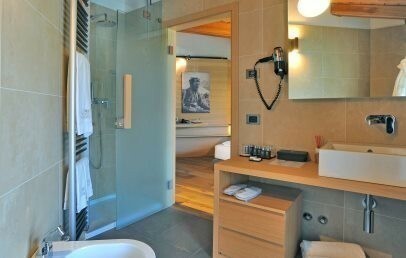 It's a double room comfortable and illuminated by a fine view of the mountains that surround Madonna di Campiglio. 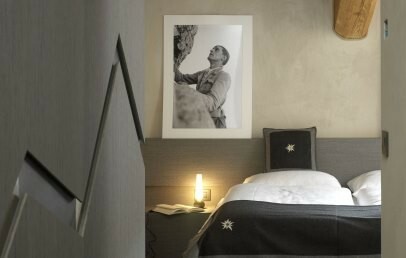 Inspired by the exploits of Ettore Castiglioni, a strong climber who opened more than 200 new routes over the Alps, it has a balcony with two French windows, a leather settee and a walk-in closet. 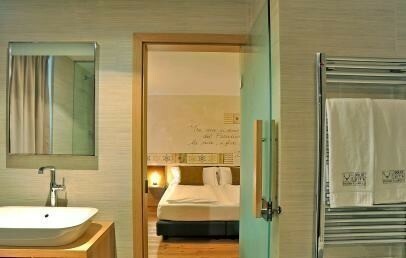 This is a comfortable and very spacious room, suitable for a family with two children under the age of six years. 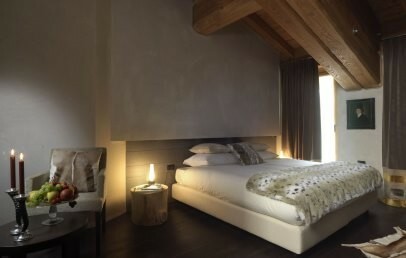 From the bed, supplied with a glass headboard that contains blocks of wood, you can let yourself be enchanted by the fire crackling in the fireplace or you can enjoy the Dolomites that shine with the snow and the sun. 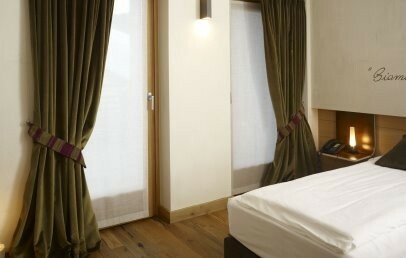 The room is equipped with a handy walk-in closet, an infusion maker and a balcony. This is a very large double room with double balcony (one also accessible from the bathroom), bathroom with tub, large walk-in closet, infusion maker, boxes to load the I-POD and a living area where you can sit in conversation or enjoy breakfast. It is dedicated to Cesare Maestri, nicknamed Spider of the Dolomites for his daring enterprises, climber who still lives in Madonna di Campiglio.